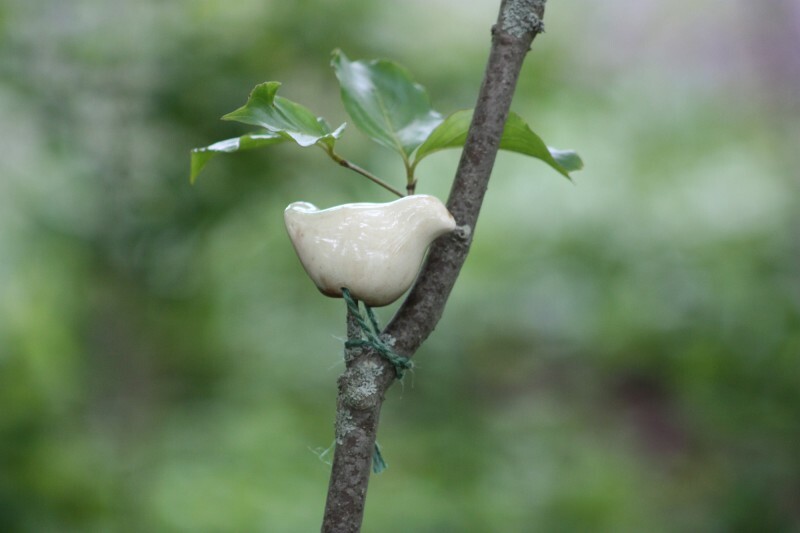 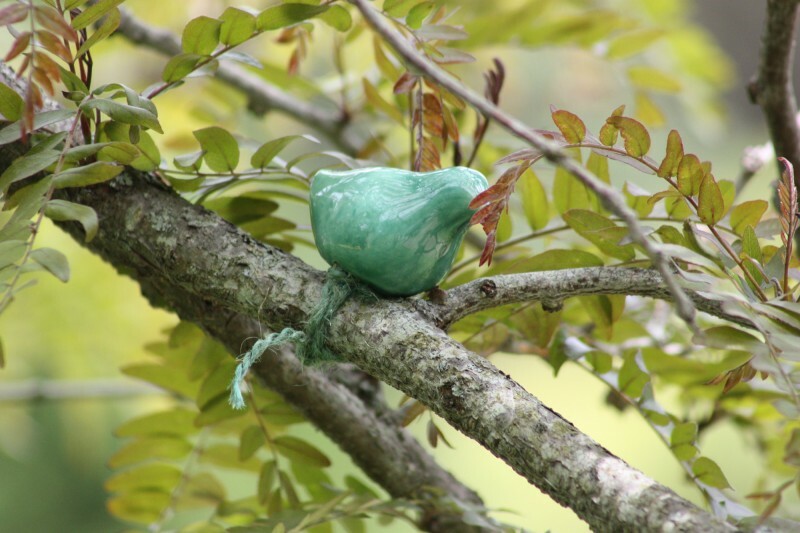 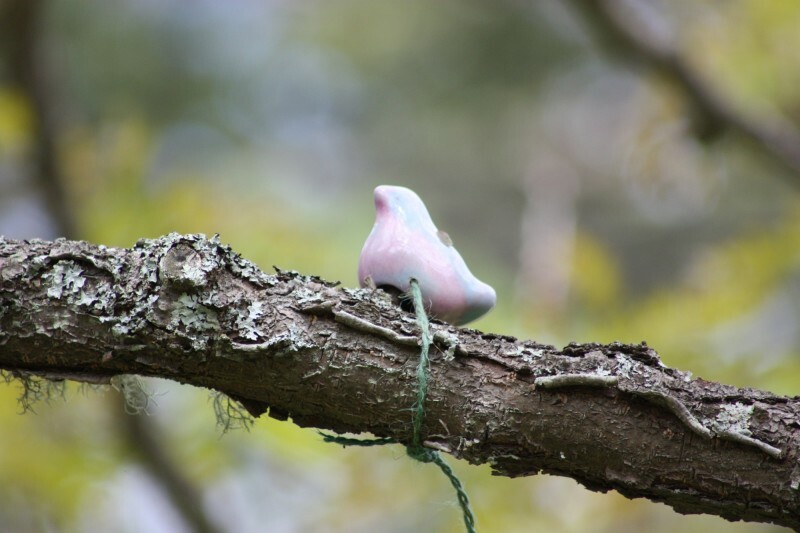 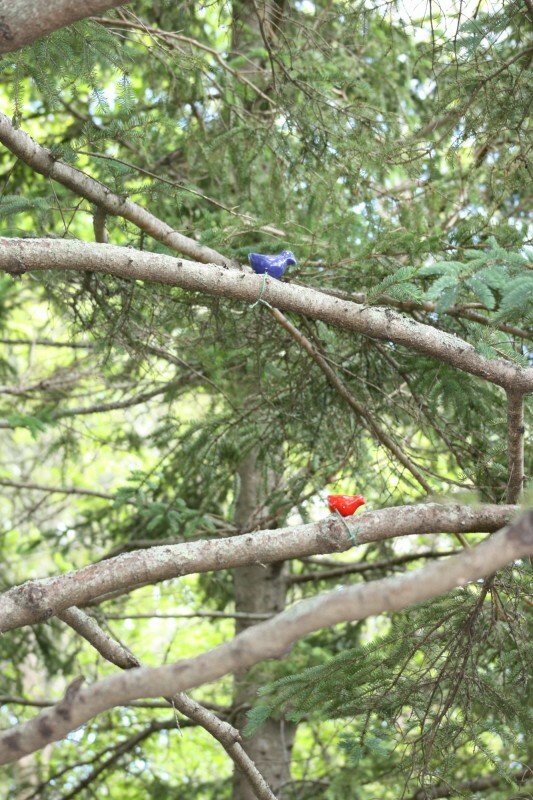 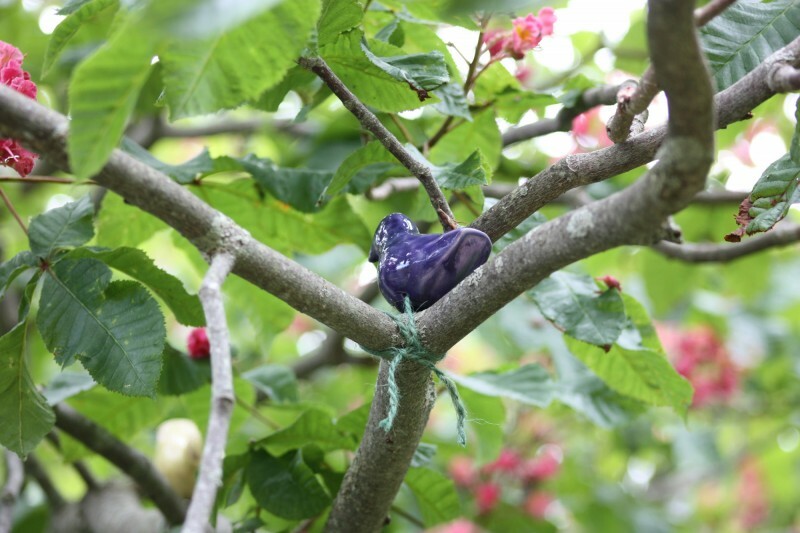 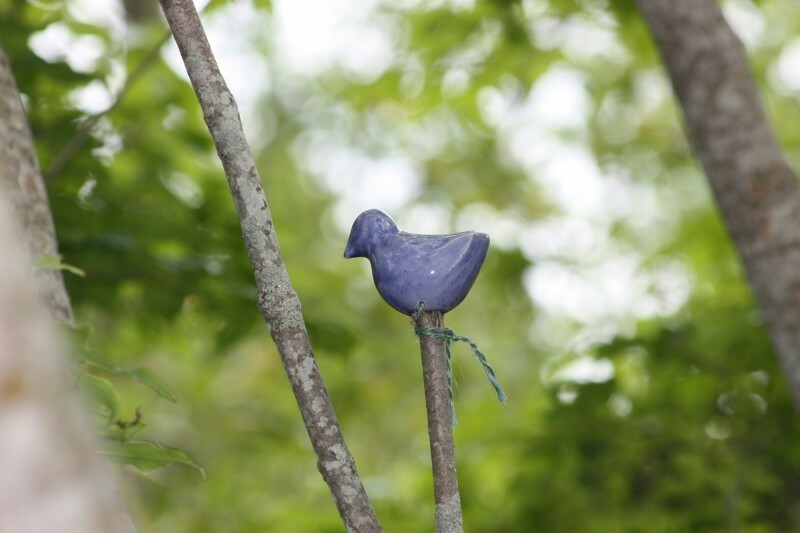 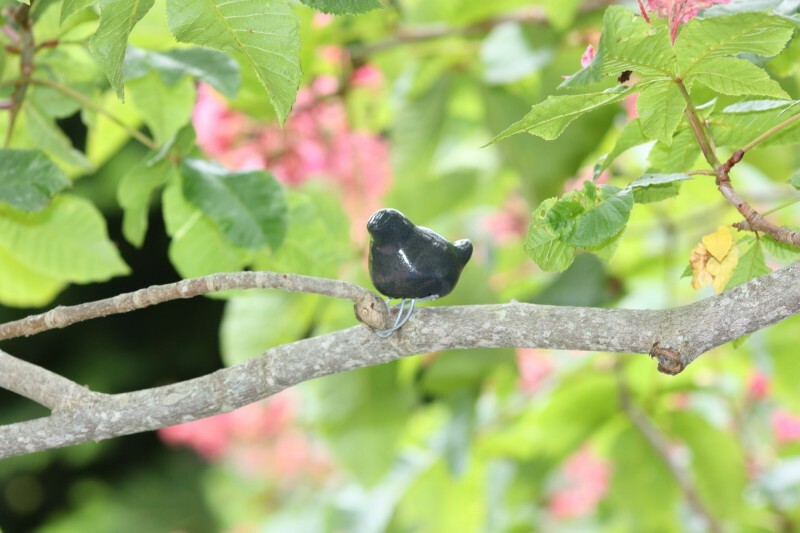 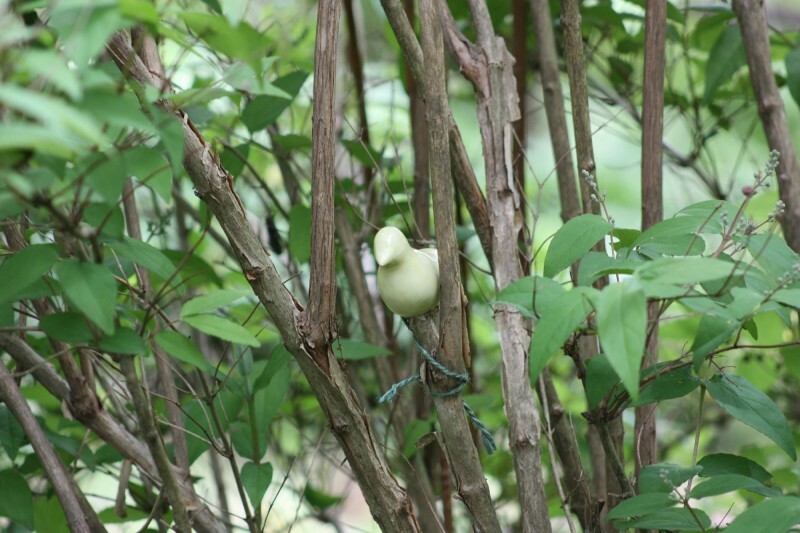 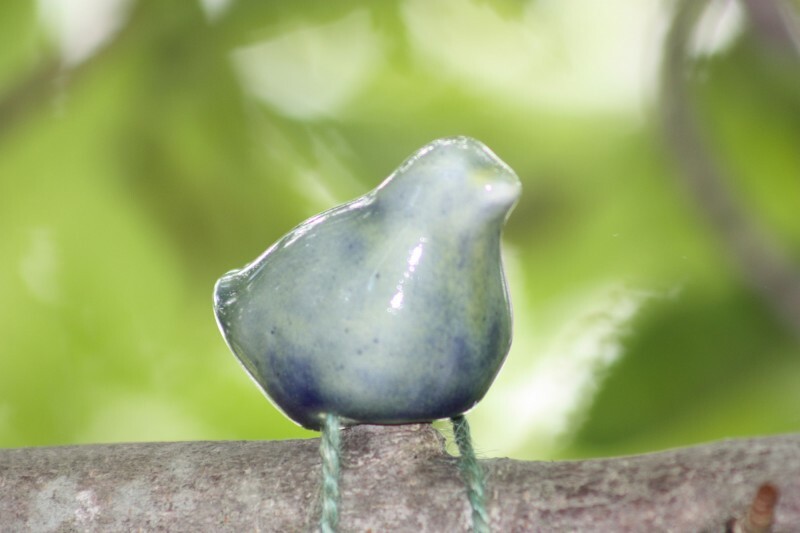 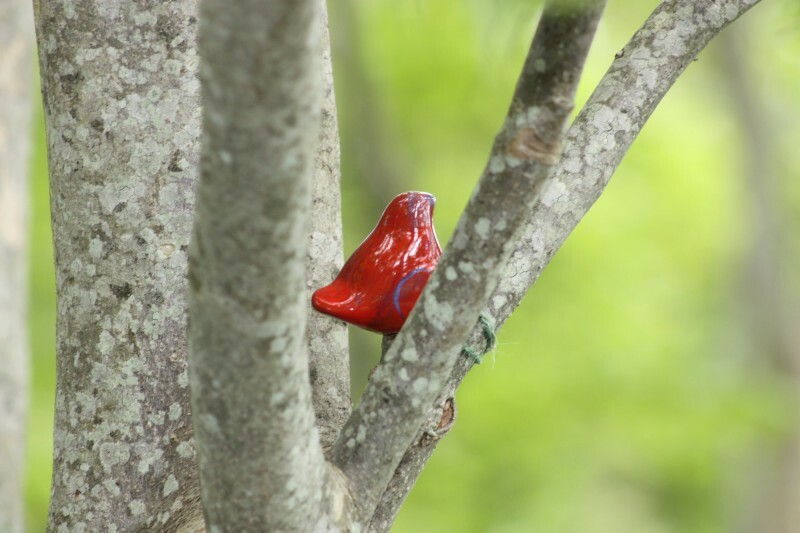 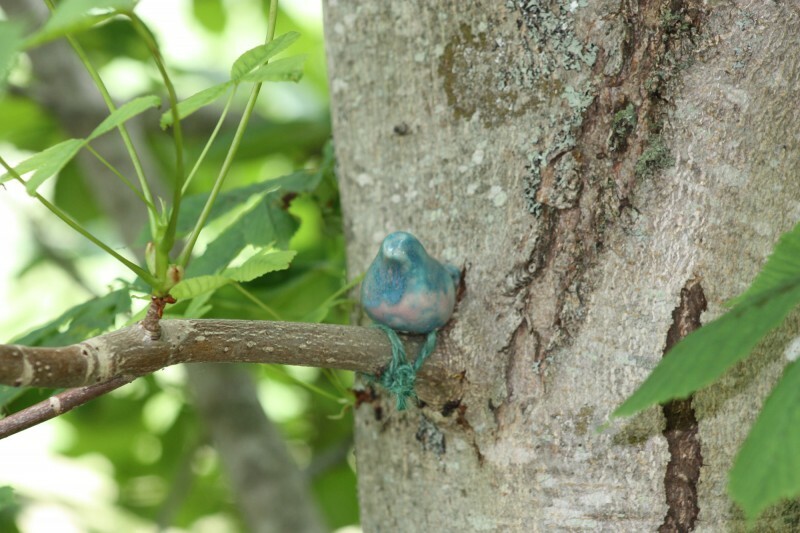 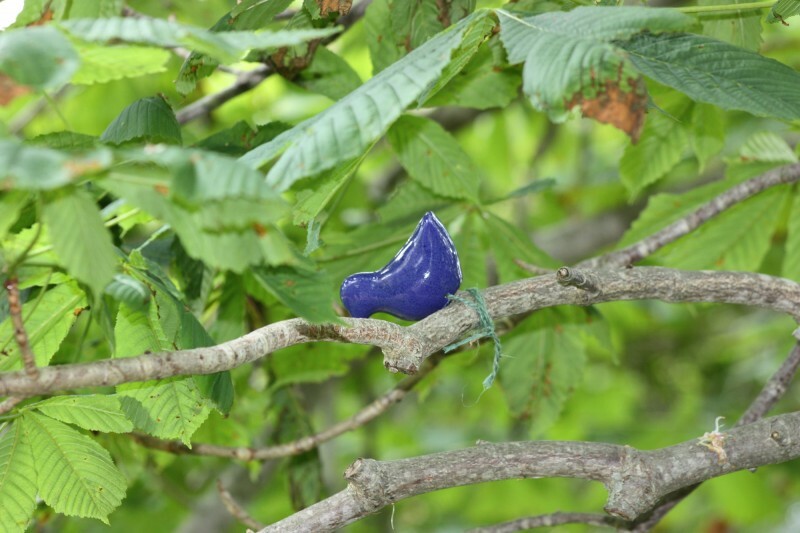 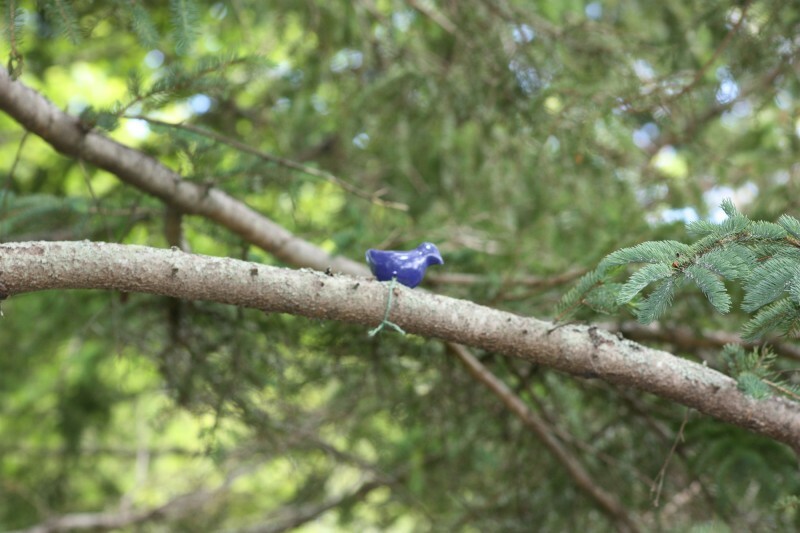 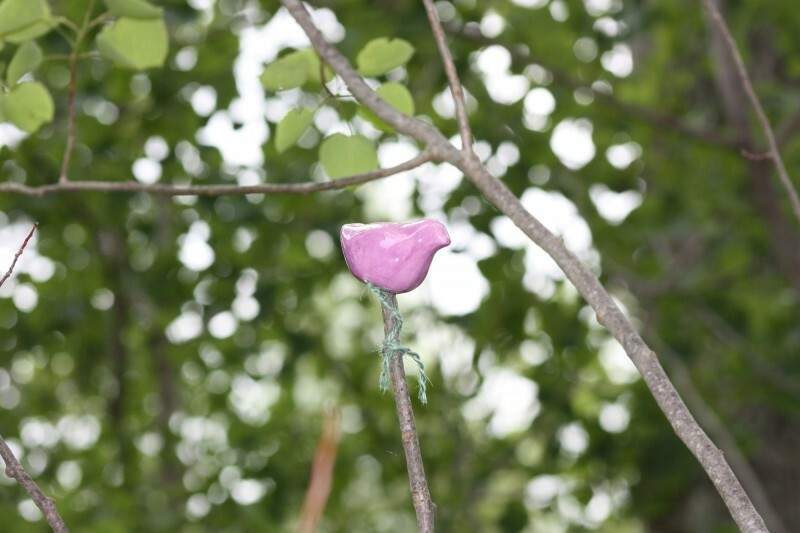 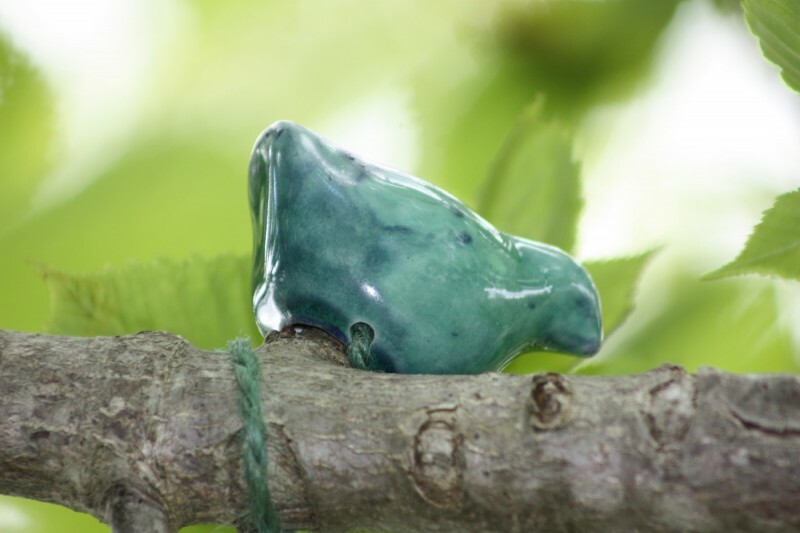 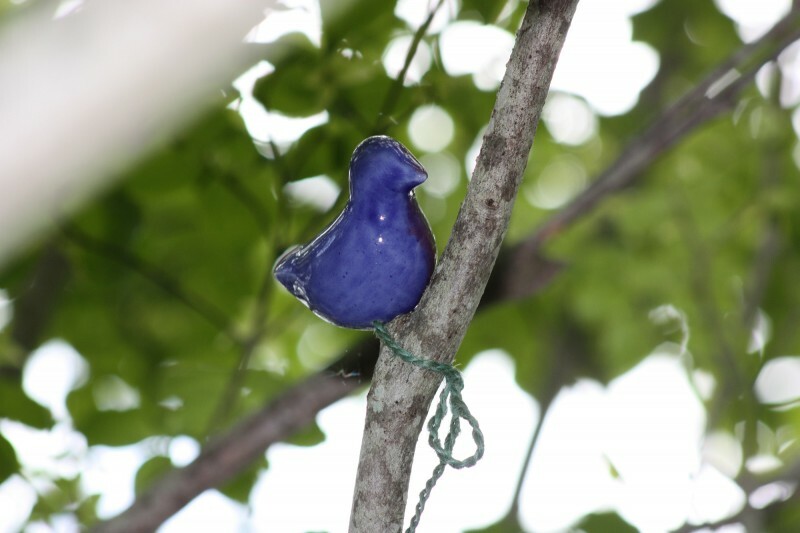 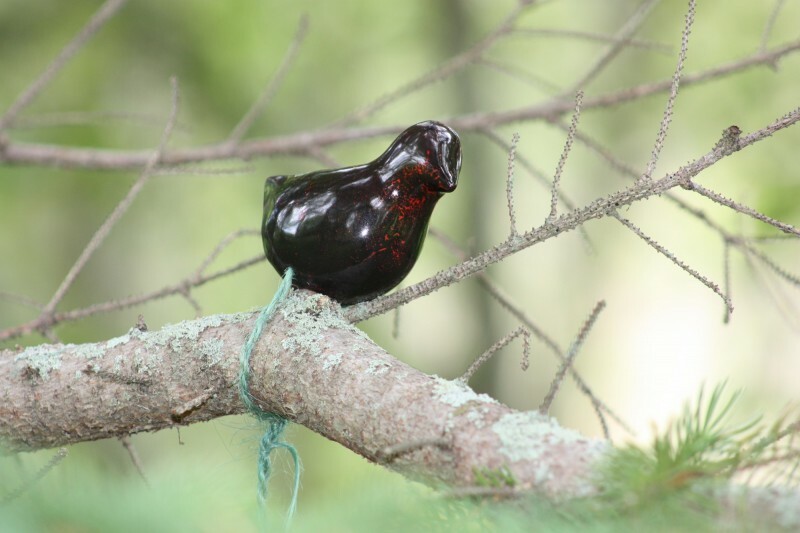 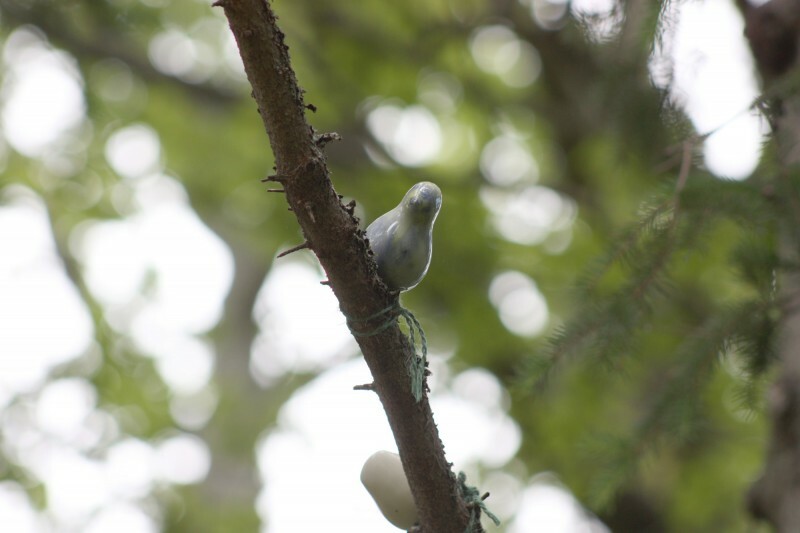 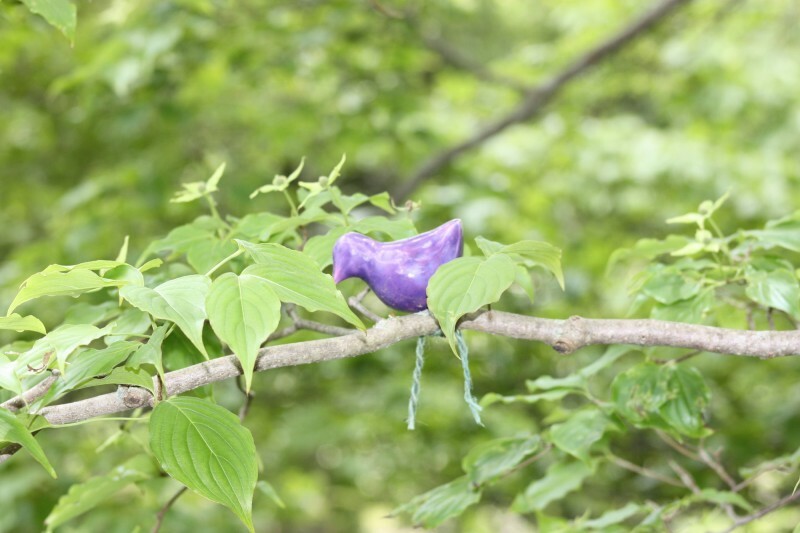 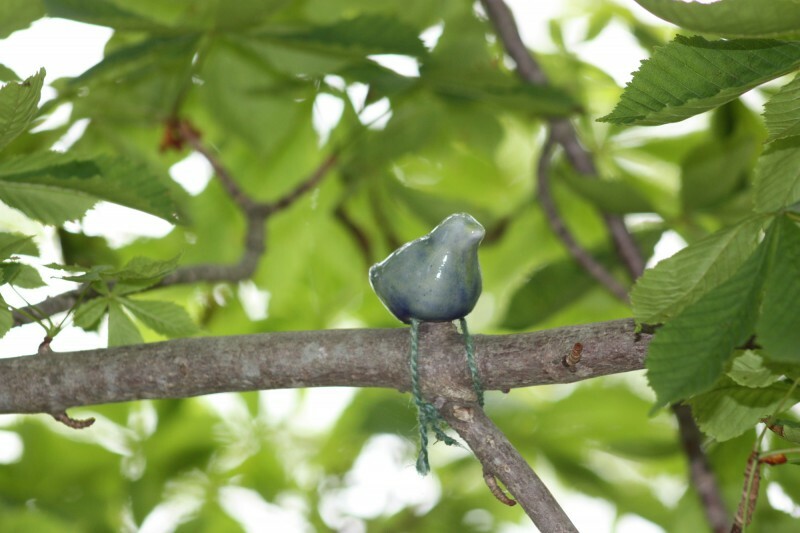 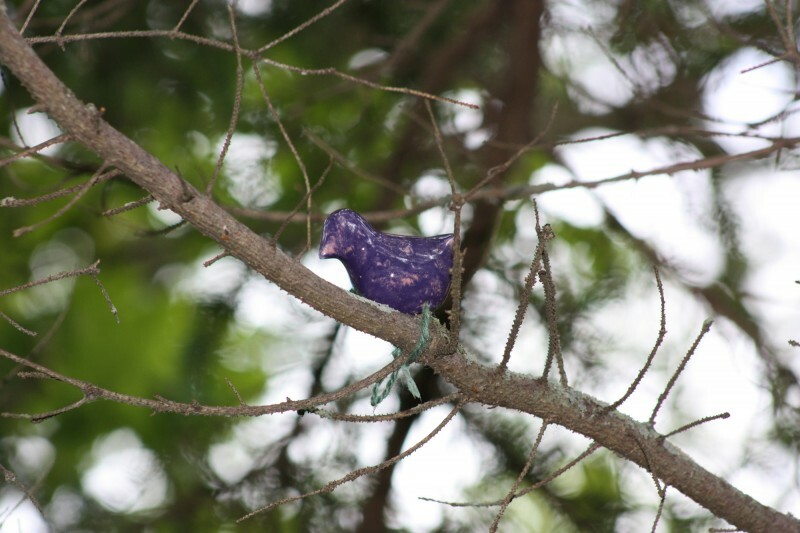 For this exhibit entitled "Bird Watching" in 2013, I produced 32 ceramic birds to commemorate the 32 years the Annapolis Royal Historic Gardens have been open. 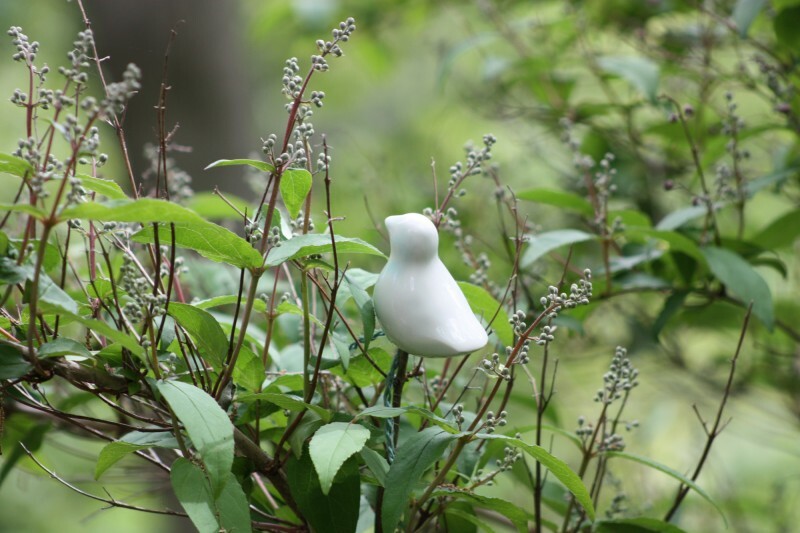 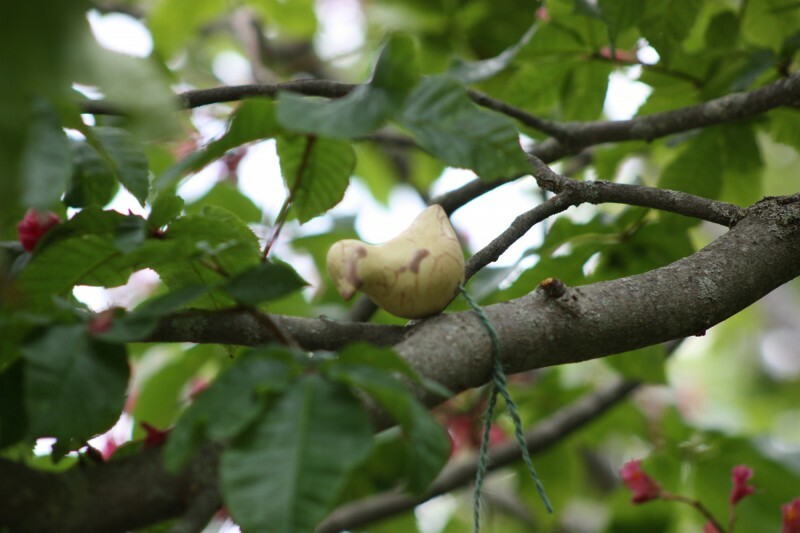 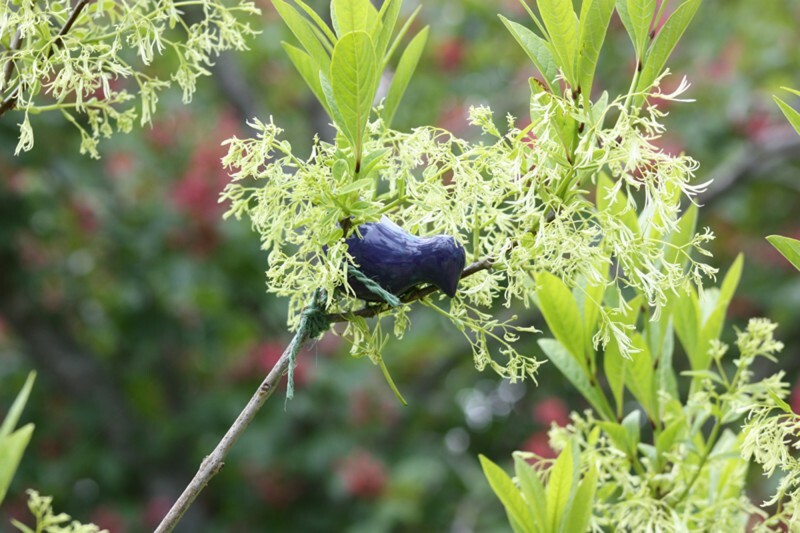 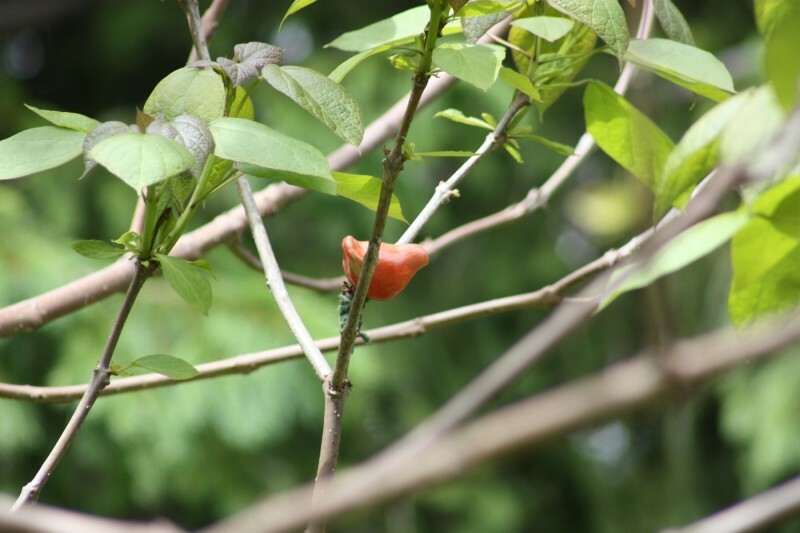 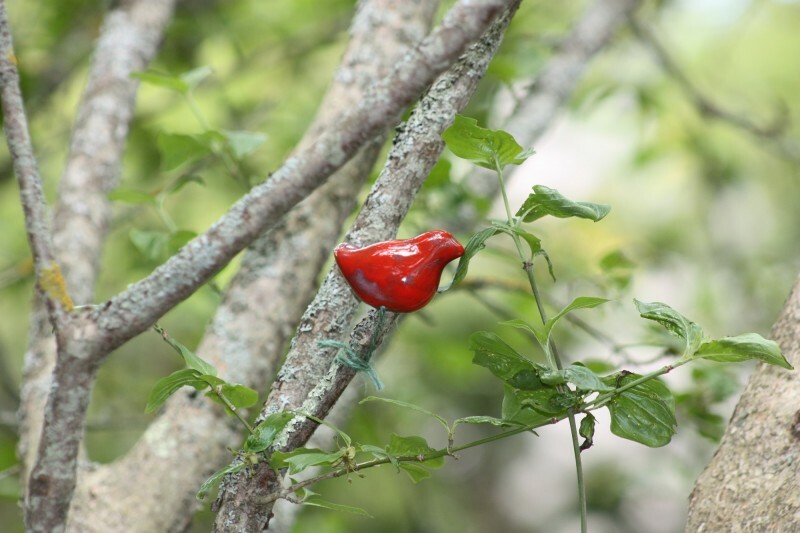 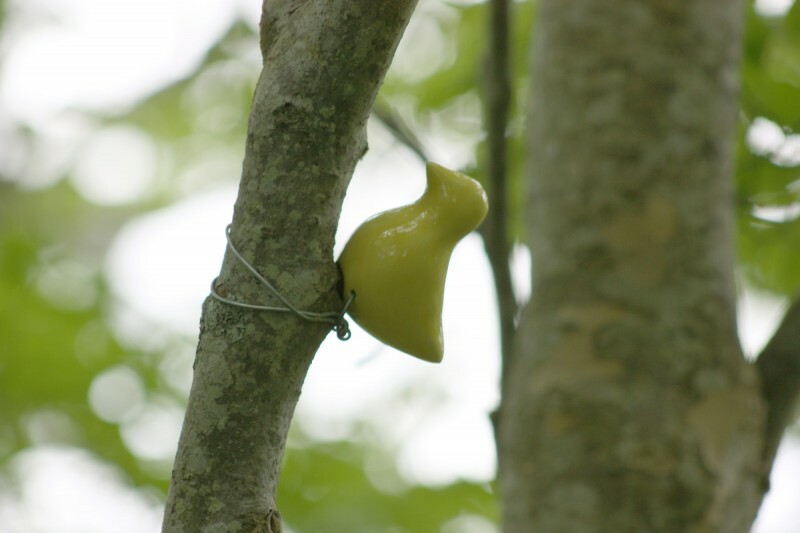 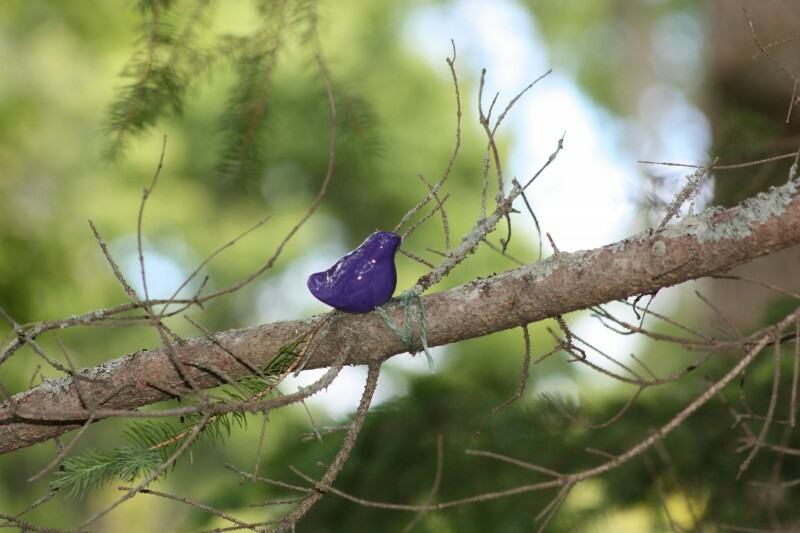 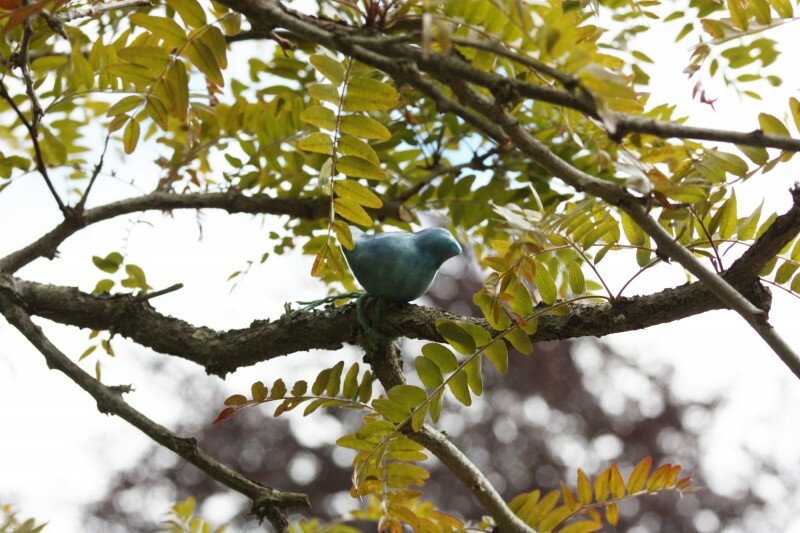 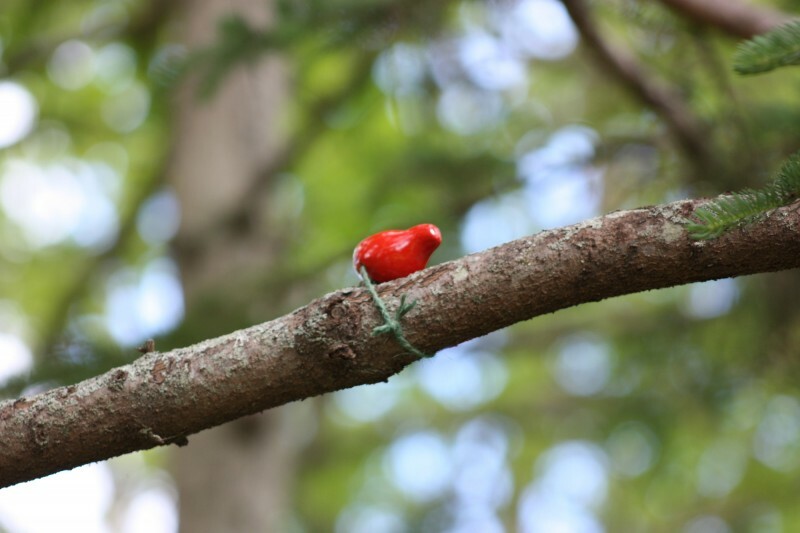 They have been placed in the Gardens on the branches and stems of the trees and shrubs along a pathway for visitors to enjoy. 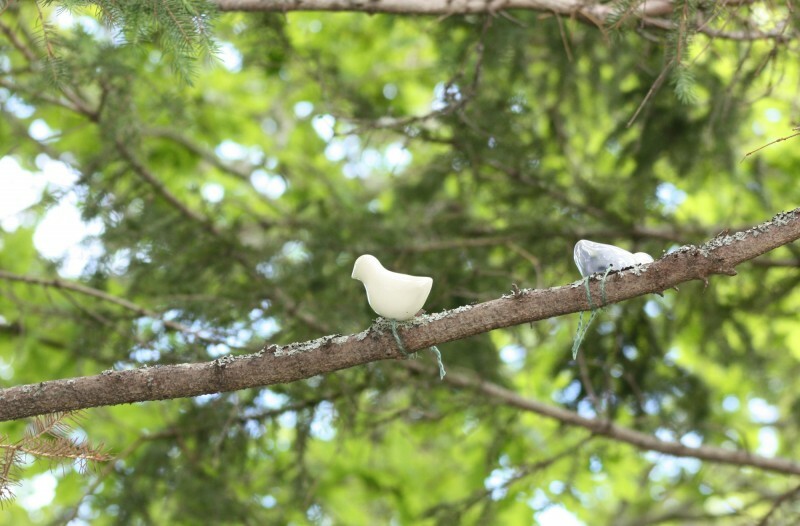 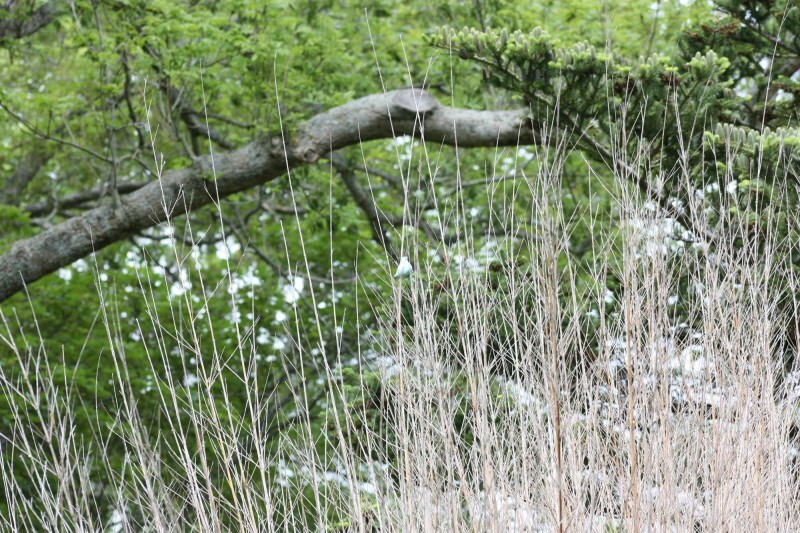 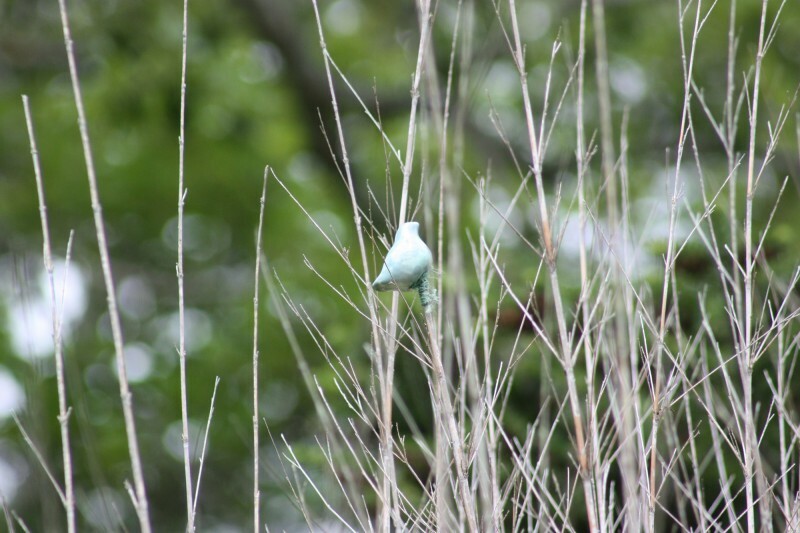 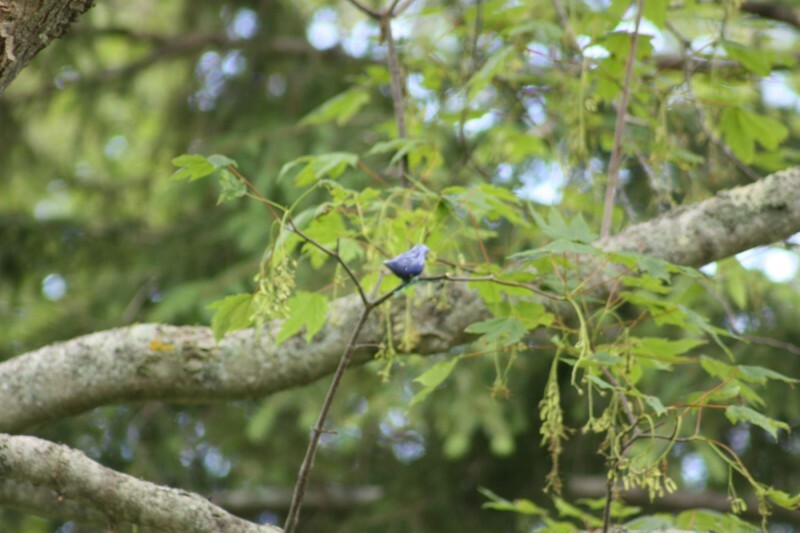 I pose the question: are you watching the birds or are these birds watching you?